Music journalism and broadcasting on the radio, since 1992. One of the more interesting little tidbits within the history of the rock band KISS is the fact that the group landed its first record deal based solely on the merit of its music. It was 1973, and the president of the new upstart label was so impressed with a demo featuring some of the group’s songs that, though he hadn’t even seen them play live, he decided, immediately, to sign the band. Yes, KISS was already developing a high-energy live show and was beginning to experiment with a glam-rock look, but it was, quite simply, its music that first vaulted the group into the big leagues of rock. Of course, once KISS got there, they pretty much single-handedly changed the way rock concerts were done. They redefined the modern stage show. They were “the hottest band in the world.” It was the greatest show on Earth. But underneath all of the flash and the pyro and the extravagance were, at the core, good songs. And it is those songs, just as much as anything, that has allowed KISS to carry on and thrive for the past 45 years. 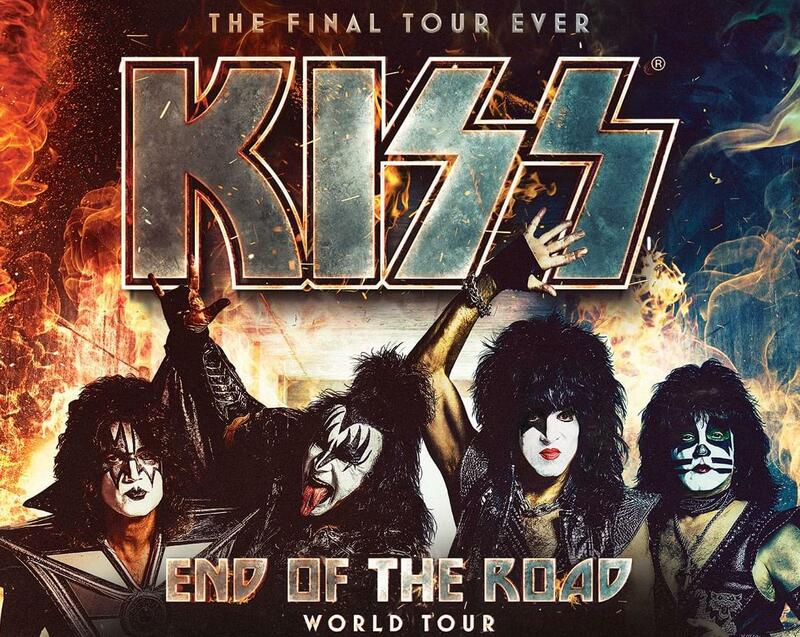 And it is those songs - just as much as the brilliant staging and showmanship - that will help fill up the Wells Fargo Center with KISS fans on Friday night. I’ve been on board with KISS for most of their 45-year ride, having been a fan since 1976. I can recall the older brother of one of my friends jamming “Alive!” is his room and allowing us to listen, and being captivated by what I heard. Not long after that, I saw the band on television for the first time, and not long after that, my parents let me pick out one of their albums from the record club. I chose “Rock and Roll Over.” Next, I picked up their hard-rock masterpiece, “Destroyer,” and eventually, I had all of the rest. Like millions of kids around the globe, I’d sit in my room, in front of my record player, just listening to the songs. Sure, KISS had great mystique and cool album covers, and their faces seemed to jump right off of the magazine covers, but what kept you coming back was the music. By 1984, I was 16 and was old enough to start going to rock concerts. And when KISS came to Philly on its “Lick It Up” tour, I was there. And it was one of the most incredible things I’d ever seen. It was a transitional time for KISS. They’d lost two original members and had, after 10 years, decided to drop their trademark war paint. It was time to let just the music and their own charisma do the talking. And how did that work out? All of the band’s non-makeup era albums in the ‘80s went gold or platinum, the group were staples on MTV, and all of their tours filled arenas. And the main reason for that, again, was the music. If you’ve read enough interviews with KISS founders Gene Simmons and Paul Stanley over the years, you know that they are both virtual walking encyclopedias on the history rock. They both came of age in the ‘60s and were schooled on The Beatles and other acts from the British Invasion, and that foundation has always guided their sound. And they have, for the most part, always made extremely smart choices when it comes to their music. They replaced original drummer Peter Criss, a terrific swing-style player, with the late Eric Carr, who was cut more from the cloth of Led Zeppelin and helped power the band into heavier waters. 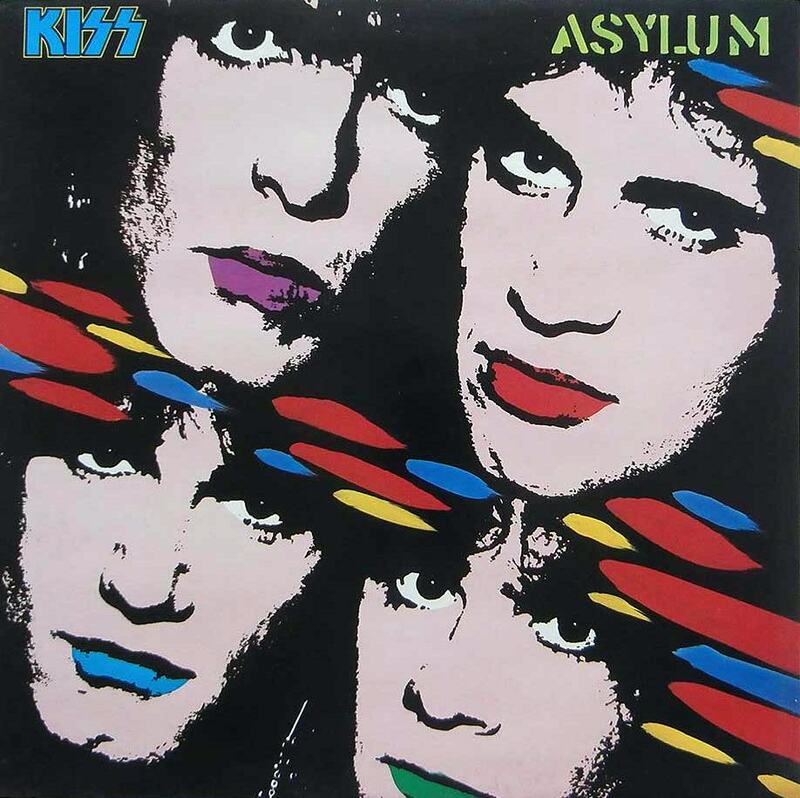 They replaced original guitarist Ace Frehley, a Hendrix/Clapton-style player, with shredders such as Vinnie Vincent and the late Mark St. John, and eventually, the more textured Bruce Kulick. All brought the right touch to each KISS album they played on. They were the right musicians for the band at the right time. Other members, such as Eric Singer and Tommy Thayer, who have cemented the KISS lineup for the past 14 years, have done the same. KISS, thanks to the guidance of Simmons and Stanley, has always been a tight band with gifted musicians. There’s a great quote that was supposedly once quipped by Angus Young of AC/DC: “People say we’ve made 10 records, and that they all sound the same. That’s not true at all. We’ve made 11 records and they all sound the same.” Whether Young actually ever said it or not doesn’t really matter. It’s funny. And for the most part, it’s true. It’s what makes AC/DC what they are. I like them. But for me, what makes KISS special is that, like all truly great rock bands, all of their records do not sound the same. KISS has never been afraid to tweak their sound or try something new. Sometimes it may have been for the sake of art, such as the ambitious 1981 concept album “Music From The Elder,” or for the sake of more commercial appeal, such as 1979’s “Dynasty” and 1987’s “Crazy Nights.” The end result, however - as a full body of work - is quite remarkable. It’s why, in Philly on Friday night, you’ll hear everything from the power and crunch of “Deuce,” to the beauty of “Beth.” You’ll hear both the grungy “War Machine” and the disco-influenced “I Was Made For Lovin’ You.” You’ll hear some blues within “Cold Gin” and you’ll hear classic rock in “Detroit Rock City.” And you’ll hear those big anthems, such as “Shout It Out Loud” and “Rock and Roll All Nite.” You will hear KISS. You'll hear a band that worked with gospel singers on 1989's "Hot In The Shade" album, recorded a pop gem such as 1980's "Shandi," and yet also gave us the gloriously churning "God of Thunder." You will hear what just might be the most musically diverse hard-rock band of all-time. For me, as a teenager, it was KISS’ songs about individuality that resonated with me the most. Tracks such as “King of The Mountain” “Get All You Can Take” and “I” had an incredibly positive impact on my life. They helped shape a philosophy that, in some ways, I still carry with me to this day: Believe in yourself. And if you want something in life, go for it. Those songs are a big part of the reason I’ve got this Paul Stanley-style rose tattoo on my arm. They are why this Friday’s show in Philly will be my 35th. A few years ago, I took my young daughter to see the band. This time, I am taking my 10 year-old son. KISS, for many, has become a rite of passage. And now both of my kids will know why Dad's got the rose. I’ve been lucky in that, through my work in music journalism, I’ve had the chance to have had some personal encounters with the members of KISS. I’ve interviewed them about a dozen times for newspapers and once hosted a three-hour radio special on the band. And even in more casual settings, I’ve been able to tell them some of the thoughts that I’ve shared here today. I once told Simmons about my love for some of those ‘80s records, and some of the songs that impacted me. His tone was kind and almost fatherly, and he advised that the most important thing in life is to enjoy yourself as much as you can, every day. 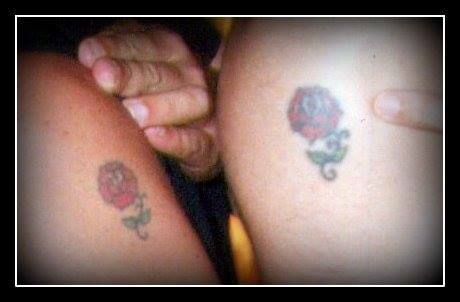 I also once had a chance to show Stanley my rose tattoo, and he placed his right next to mine for a photo. That one was a keeper. city. This will be the band's final tour. 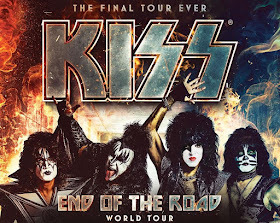 In following the KISS “End of The Road” on social media, I’ve seen the photos of sold-out shows, night after night, in arenas across America. And I do see the tour, as Stanley has called it, as one last “victory lap.” It is a triumph, particularly for Simmons and Stanley, who have always – always – done things their way. It is a victory lap for the KISS Army, and for the rock band that has earned more gold records than any other American group in history. It is a victory lap for the band that, again, got its first record deal not because of makeup, bombs and pyro, but because of its brash and fresh style of rock and roll. It is a victory for all-things KISS. It is a victory for the music.